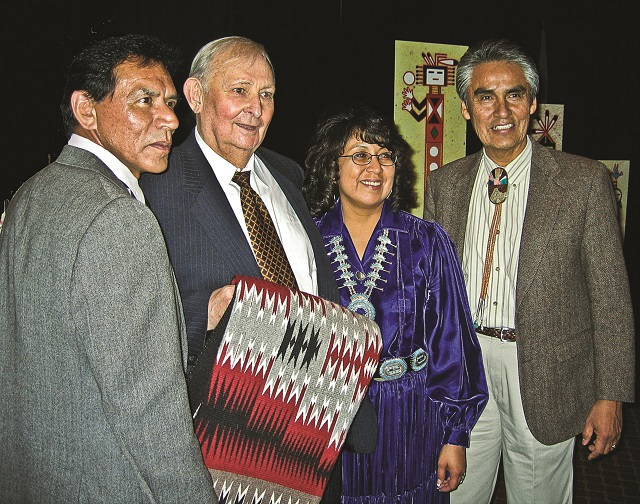 A photograph of Tony Hillerman with actor, Wes Studi. Photograph by Don Strel. "Tony Hillerman with Actor Wes Studi," photograph, Collection of Don Strel.